So what is Global Fingerprints you say? I’m so glad you asked! It may look like your average Child Sponsorship program but there is a lot more here than meets the eye! This is not like other Child Sponsorship Programs you may know about. Since ReachGlobal is all about multiplying healthy, transformational Churches this program is firmly rooted in that idea. 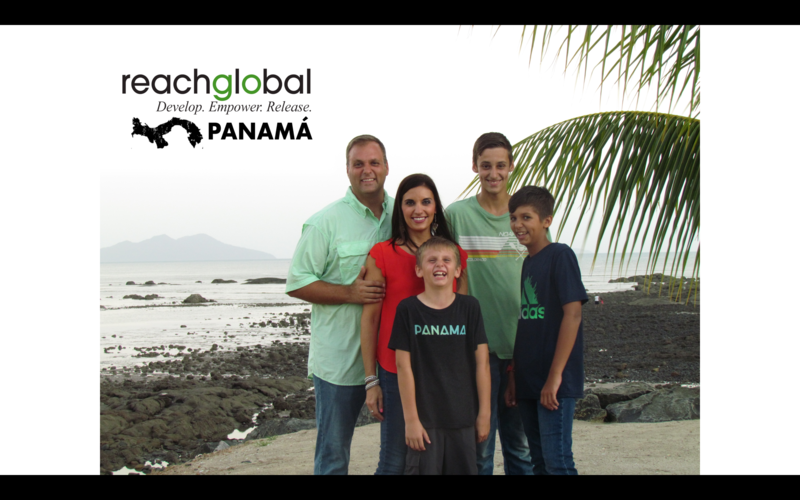 Everything that Global Fingerprints does happens in and through the local church and Panama is no exception. We, together with the sponsors are bringing fire-power to Holy-Spirit filled pastors and church leaders to take what they are already doing to the next level. By God’s grace, our team in Panama started the first chapter of a Global Fingerprints in a Spanish speaking context about a year ago and now we’re ready to expand our list of child sponsorships to 150 kids here in Panama. In 4 locations we are partnering with pastors to accomplish the Great Commission and make disciples in their context. The tangible help that Global Fingerprints provides for these vulnerable kids gives these pastors a greater voice for greater influence in their communities than ever before. Our National Global Fingerprints Director, Pastor Cesar Guerra (Pictured below) is a dynamic, and passionate visionary with a huge heart and busy schedule helping to oversee all the work that is done with this program and his church. In addition, there are several Panamanian supervisors that perform monthly well-ness checks on the kids with sponsorships and a team of Americans that assist in the background with other nuts and bolts necessary to run this program optimally and help these kids in a holistic way. We are so excited about how God is using this tool to share the Gospel in Panama and care for the physical needs of at-risk children and we wanted to share it with you so you can be included as well. If you want to learn more about Global Fingerprints in general click here. If you want to learn more about what Global Fingerprints is doing in Panama specifically stay tuned! More info is coming about what God has been doing and what you will see very soon. 2) Pastor Cesar needs a vehicle. We are in need of a donation of $3000 to complete the vehicle fund for Pastor Cesar who currently has no reliable transportation. We are praying that we can give him a vehicle by the end of this month (Dec. 2017). This would make his work with the program, his church and his family a whole lot easier. If you feel led to help with this specific need then just click here. Above all, please pray for all these kids, churches and pastors in Panama. God is doing tremendous things in and through his people and we’re so glad you get to be a part!